This sulphate-free shampoo will restore, replenish and rejuvenate. Designed to quickly transform weak, dull, aged hair into strong, radiant and youthful looking hair. 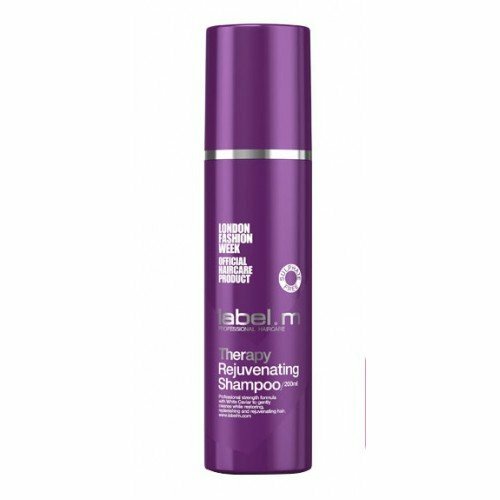 The label.m Therapy Rejuvenating Shampoo has an ultra cleansing formula that is perfect to restore and replenish dull and weak hair and leave it feeling beautifully soft and full of life. For optimal results use with Therapy Rejuvenating Conditioner. The label.m Therapy Rejuvenating Shampoo comes from the gorgeous range formulated with 8 ultra caring and technologically advanced ingredients to reverse the visible signs of aging so you can enjoy hair that is left looking and feeling strong, radiant and beautifully youthful. Directions: Apply to wet hair and massage into a thick lather. Rinse and repeat if necessary. For optimal results use with label.m Therapy Rejuvenating Conditioner.